This means that we can manage everything within your IT infrastructure including your communications and printing. Our team of IT technical specialists can do this remotely or if needed we can come to you and install, create and maintain your services so they are running to their optimum. 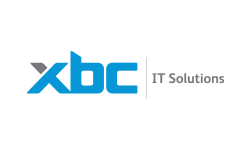 The benefit of using XBC IT to support your network is the cost savings and efficiencies your business will gain. We can take control and support of your system so you can stop worrying about IT problems and get back to running your business. By monitoring systems and servers we can identify problems before they happen and solve them quickly. You will also receive a monthly report in plain language explaining your system’s health and any work we have performed. We can strengthen any weakness in your system and can provide storage to backup data online which can be accessed from anywhere in the world at any time. A fully managed support service provides very clear advantages. By paying a fixed monthly fee for our service. Affordable costs with no surprises! Clients will be assigned their own technical specialist to be responsible for all IT issues. As uptime and reliability increases due to the proactively managed support you will gain confidence and be able to focus on your business. Unlike the old break-fix model, Managed Services aligns the interest of the service provider with those of the client. You both have the same objective: keeping your network as reliable as possible. Proactively maintained IT equipment – which is regularly maintained, monitored and inspected – will run faster and be available more. The result is less unproductive downtime.